Deeply penetrates and prepares skin for treatments to follow. Between cleansing and moisturizing, be sure to take this step to prepare your skin for the full effects of our corrective, curative and restorative treatments. Leave-on formula tones, firms, and exfoliates skin to make it fully receptive. Bursting with natural ingredients like menthol to stimulate circulation, burdock and aloe to soothe and moisturize, and witch hazel to exfoliate and promote new cell growth. You’ll start to see and feel the delicious difference in days! These products are the best of the best. I am adicted to the Skintrium skincare. When this new line came out I have been wanting to try it and now feel very tempted. 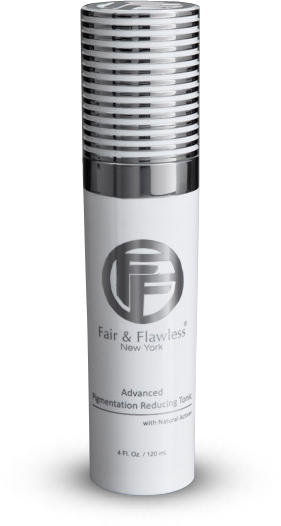 Many years ago I just used the custom cream by Fair & Flawless which is really wonderful too. Not only a great exfoliator, filled with ingredients that minimize pores and reduce break outs. Great for acne prone oily skin!! I received this product as a sample with my order and i absolutely love it. Amazing cleanser, its so gentle and leaves my skin feeling very fresh and smooth. I am going to be ordering it soon as I am almost finished with my sample. I love this face scrub. I have tried many scrubs and this one is the best ever. It has a great smell, and is a wash and scrub all in one. I love combing it with the nutritious cleansing milk because it is a one step process for clean skin. I am reordering for the third time.I even use the milk cleanser as a shaving cream under my armpits and i swear it looks so much healthier and brighter. I just wanted to say this is one of the best cleansers I have used. After a few days of use my skin was smoother and my pimples started clearing up. It''s like I had a facial. I highly recommend this cleanser. Thank you Ms.Anna this product is a dream .From the first day i used it there was a marked difference in my face. Polished,smooth and pores definitely less visible..even the hubby noticed.Works a 100 times better then these so called high-end products that ive used.This is my permanent and only home for skin care.